Say - makeup brushes.⭐. Handmade. Perfect makeup.⭐. There is always more than one way to get things done. Use the spoolie end to put your brows in order and the fine one to perfect their shape. Pair with eyebrow powders, gel, and cream. It's your night out so we want to hook you up with a top-notch accessory. This baby is great for blush, bronzer and contour products. It adapts to the shape of your face and makes things much easier. Your look is a statement, so make it a bold one! 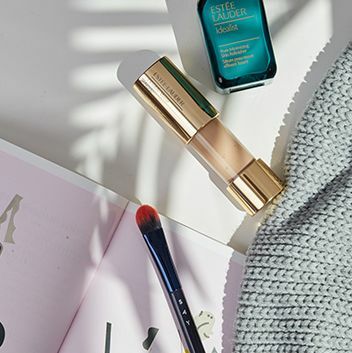 Apply face powder like a pro with this dome-shaped brush. Use sweeping and round motions to get the finish you were looking for. You don't need a tutorial to be awesome! 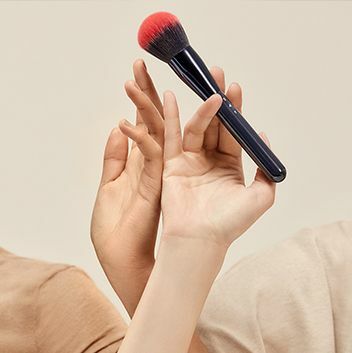 This brush is designed to pick up just the right amount of powder-based product and buff some serious colors on your skin. In the last-minute-rearview-mirror makeup situation, this one comes in handy. Apply any lip product with remarkable accuracy or simply use it to soften a lip liner. Let's let you in on a little secret. The brilliant technique starts with a dazzling device. Firmly packed bristles blend and smudge eyeliner, while the pencil-shaped tip gives you a smokey look. Wear your eyeshadow like a boss to let them know you mean business. This crafty tool applies eye products effortlessly. Sweep and circle to blend it and use the tip to add some definition. From now on you have a trick up your sleeve. Reach for it whenever you aim for smokey eyes, or simply need to shade, blend or smudge some eyeshadow/eyeliner. Rules are meant to be broken. Use this brush to create your own style. Contour with precision, apply eyeshadow gently or highlight the brow bone. And oh, don't forget to have fun! How to define 'beauty' is now totally up to you. 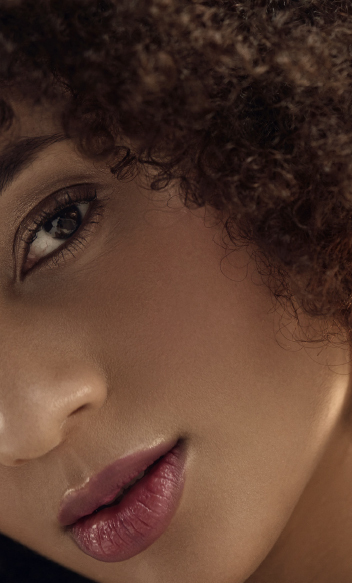 A slanted head follows your face's unique curves to smoothly distribute foundation. First sweep it, then buff it to get an airbrushed finish. Stipple your way to the smoothest canvas! Use the dual fiber head to adjust foundation coverage from light to heavy. Apply all types of foundation with gentle tapping and circular motions. It only takes a second to switch between the countless girls that you are. Instantly add warmth to your face and define your cheekbones. Use sweeping motions to apply your favourite blush or bronzer. Every kind of makeup is a different story. To tell them all you need the right set of accessories. Step up your game with our 6-piece collection of hand-crafted brushes. 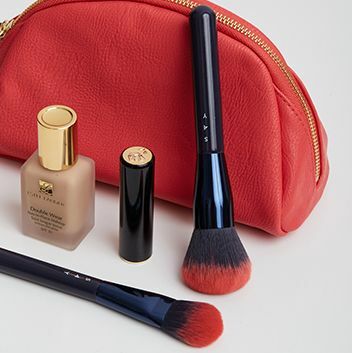 The BASIC selection includes lip, brow, eyeshadow, foundation, blusher, and powder brushes. 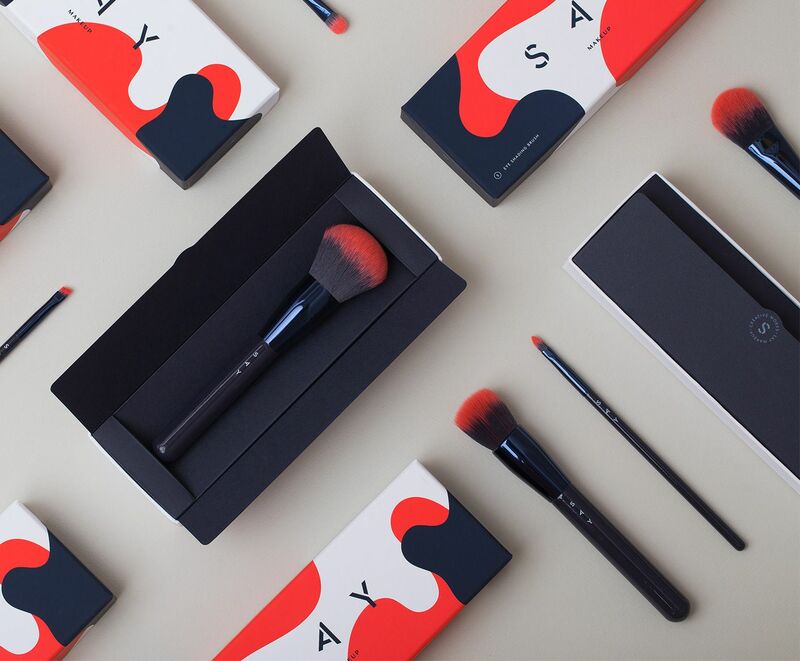 SAY MAKEUP BRUSHES - IT WAS LOVE FROM THE FIRST... USE!